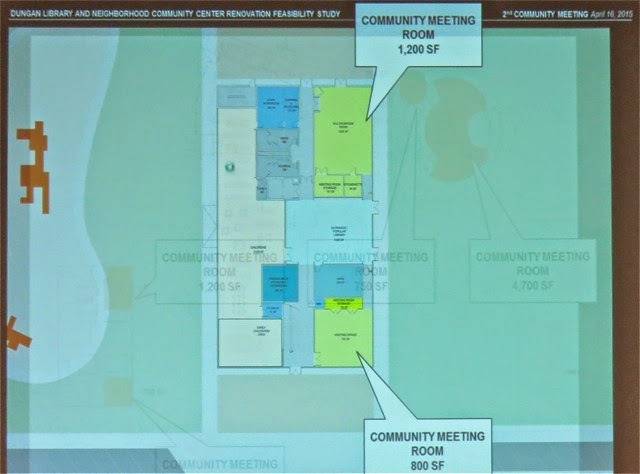 A crowd of more than 80 - double the turnout for the first meeting - attended the second of three feasibility meetings addressing the possibility of creating a new, larger library to replace the current Donald Dungan Library at Lions Park. I wrote about the first meeting, held on March 5th, HERE. This report will be image-intensive. Click on individual images if you have difficulty reading them. 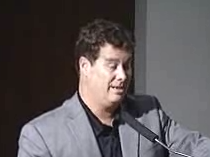 This meeting was taped by Barry Friedland for his Costa Mesa Brief YouTube channel. 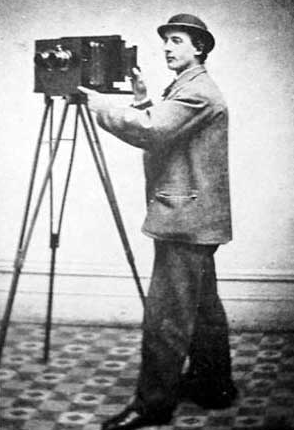 I'd show you the photo I took of him on the job, but he's a shy kind of fella. But, I still think he deserves credit for the fine job he does, so here's a "not Barry" image to replace him. You should be able to find an edited version of the meeting at his site, HERE, within a day or so. (Shhh, don't tell him, but you can see him in the photo above.) Bradley Zint from the Daily Pilot also attended, so look for his story soon. 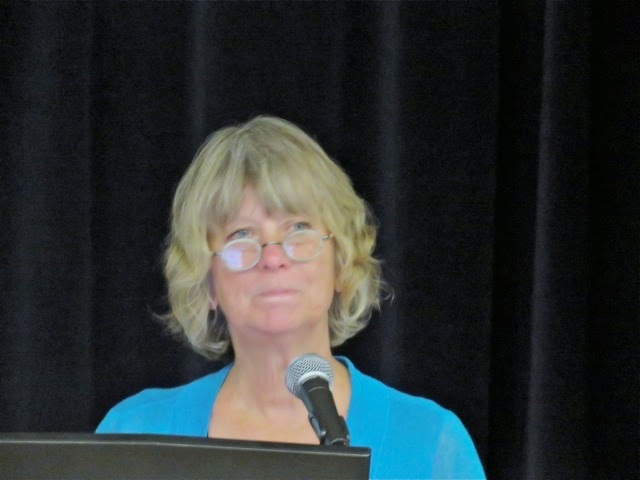 Costa Mesa Assistant CEO Tammy Letourneau kicked things off, then handed the microphone to Jim Favaro of Johnson Favaro, who also shared the presentation with consultant Linda Demmers. There was a staff available to provide real-time Spanish translation for members of the audience - but I saw no takers. Recreation Manager Travis Karlen was also in attendance with some of his staff. Former councilwoman Wendy Leece was among the members of the audience. Mayor Pro Tem Jim Righeimer came in after the meeting began, but managed to stay out of camera range. 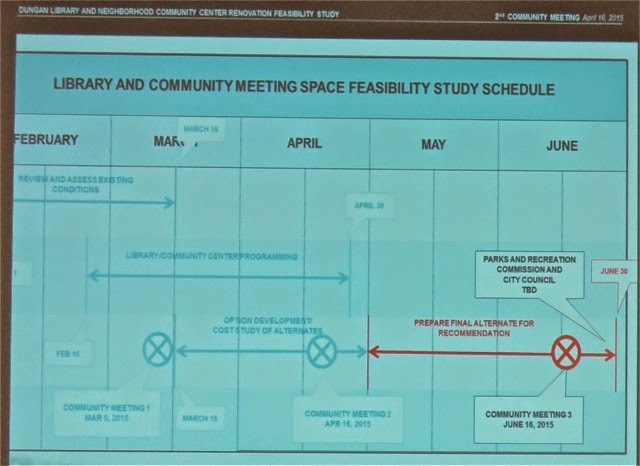 Favaro provided us with the timeline of this activity and gave us an overview of the existing facilities, describing the various capacities of the meeting rooms at the Neighborhood Community Center (NCC). 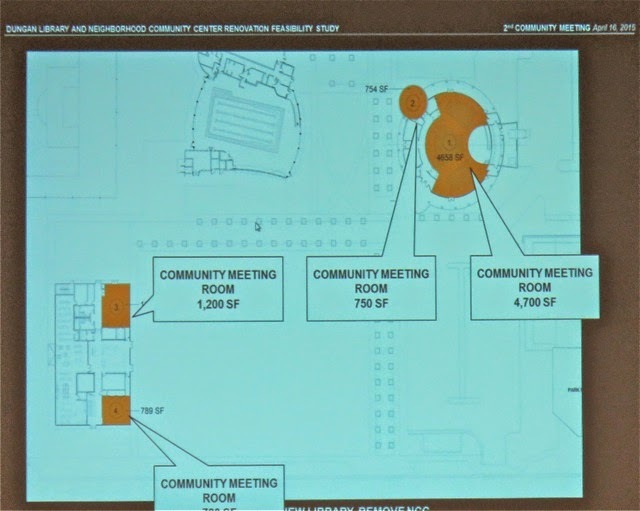 This meeting is the second of three planned - the remaining meeting will be held in June, at which time more data will be analyzed and costs for various options presented for discussion before this information is eventually sent on to the Parks and Recreation Commission and the City Council. 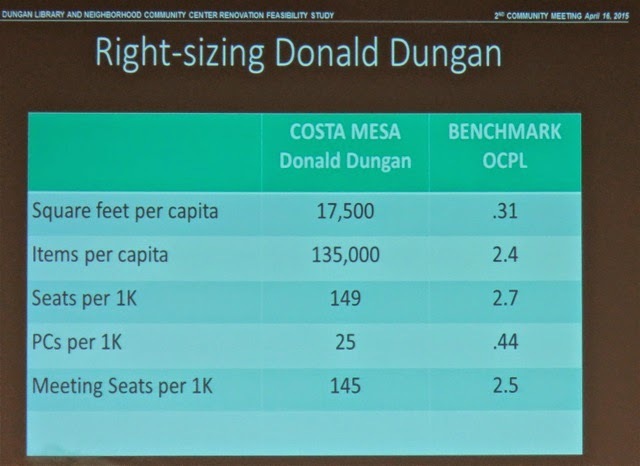 The only discussion of costs last night was that of the Tustin Library, which cost around $22 million, but is a larger facility than what will likely be recommended here. 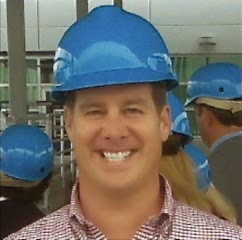 We were told the existing NCC facility is significantly under-utilized, although well-managed. 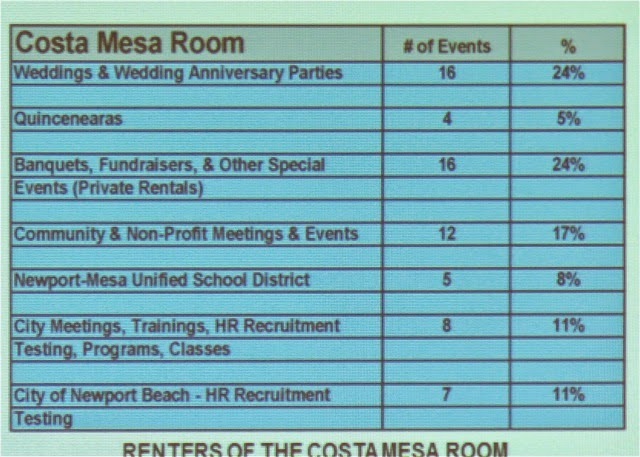 We were also shown locations of other venues around the city where meeting space is available, but is also under-utilized. 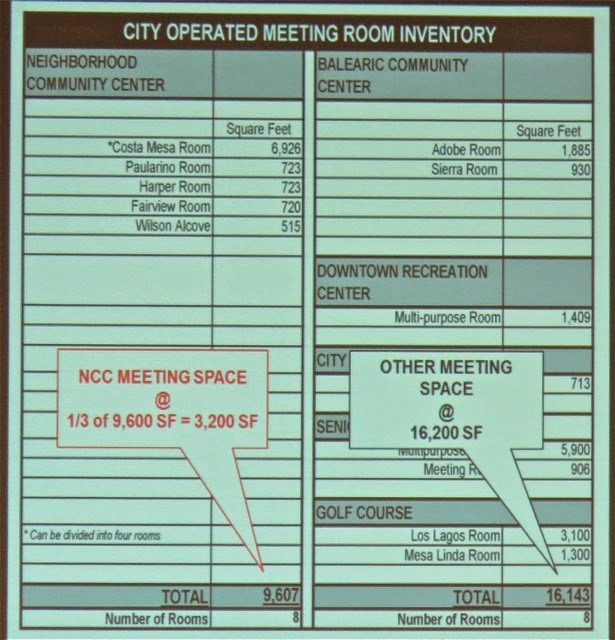 A chart was provided to compare the available space in those venues to the current utilization of the NCC. 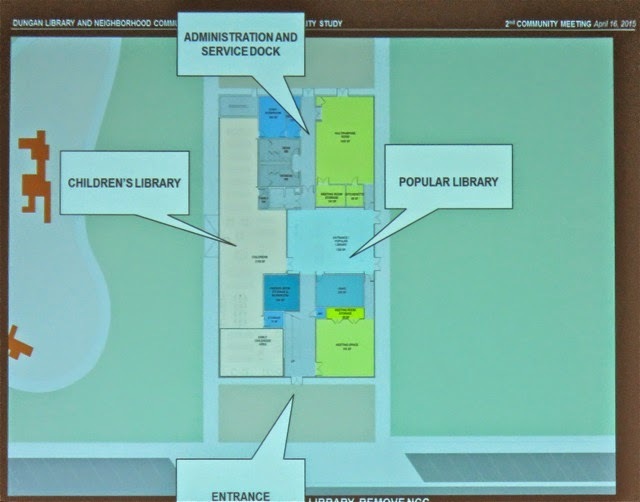 Demmers took over and explained the current configuration and use of the Donald Dungan Library, which she emphasized was much too small for the current traffic, and the facilities are woefully inadequate and out of date. 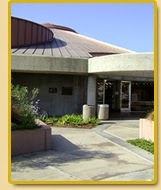 In all the critical benchmarks the Dungan Library falls very short. 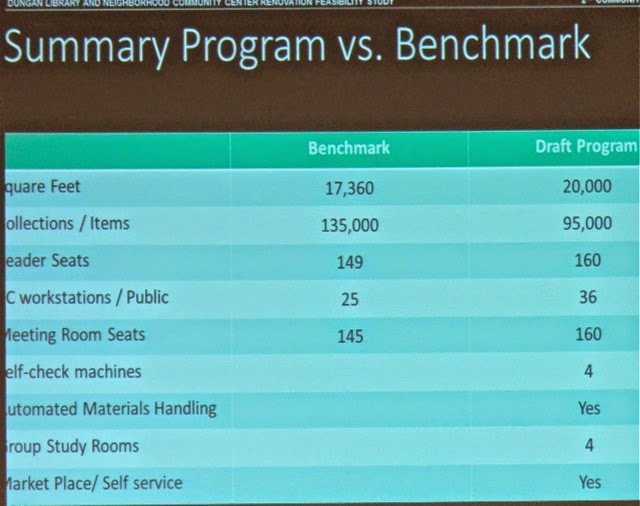 Her analysis, based on doing more than 140 previous such exercises, is that a replacement library should be around 20,000 square feet. And will povide a better venue for Teens. Then Favaro took us through the options as he saw them. First, to simply "flip" the two facilities - converting the NCC into a new library and the existing Dungan building into a community center. He went through in great detail the structural and practical difficulties involved in doing each. 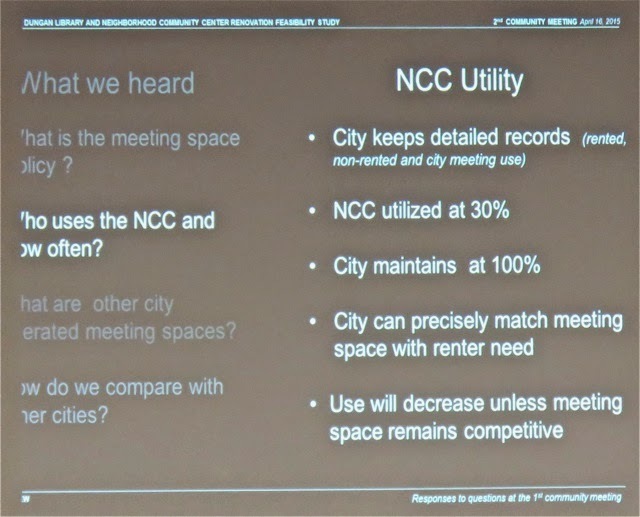 The NCC, for example, has so many infrastructure complications and areas where it would have to be brought up to current codes - it was built in 1979 - that simply renovating the existing building will likely prove to be impractical. The Dungan building is apparently historically protected, which complicates the process of the converstion. 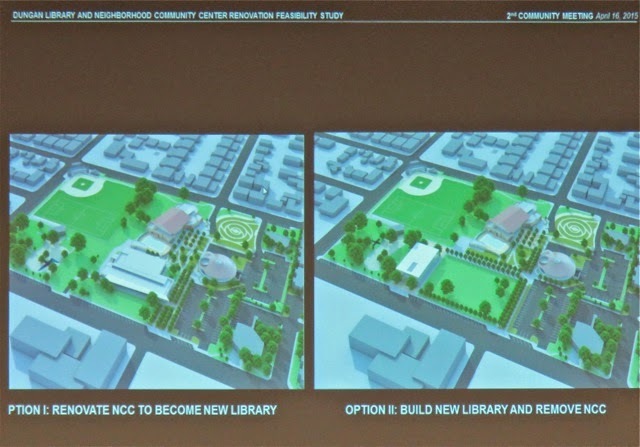 The second choice, as Favaro saw it, was to build a new, 2-story library within the footprint of Lions Park, demolish the NCC and utilize the Dungan building and new community rooms in the new library to replace the necessary utilization from the NCC. He also assumed that space in the other facilities around town mentioned above would also be utilized. 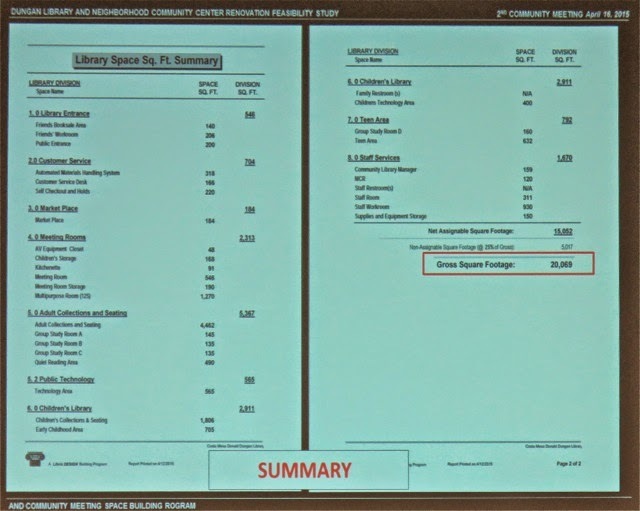 And, not mentioned last night, was the item on the City Council meeting agenda next Tuesday which proposes converting the old print shop on the first floor of City Hall into a 1,600 square foot meeting space. That was not considered in Favaro's inventory of available spaces. 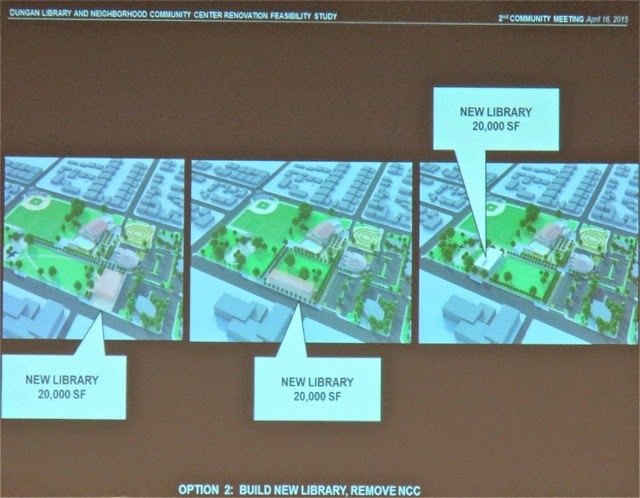 His preference for the new library under his option #2 - there were three choices as shown on the image below - provided 20,000 square feet and opened up Lions Park to provide at least another acre of open space. One speaker, viewing that image, asked about using part of it for playing fields - like a soccer field, for example. Favaro said that was a possibility, but clearly he preferred a less active use - a more park-like setting for the park. Cleary, Favaro preferred the second option, and of those three choices, he liked the one shown above the best. Parking will be an issue - each one diminishes existing parking spaces while operating under the assumption that a new library will generate more "business". One amusing sidebar... Favaro carefully tiptoed around the issue of homelessness, but implied that a new building strategically located, could solve the problem. He didn't use the word, but a speaker did later. A dozen speakers stepped up to express views on the plans so far. Generally, most seemed to like what they heard. 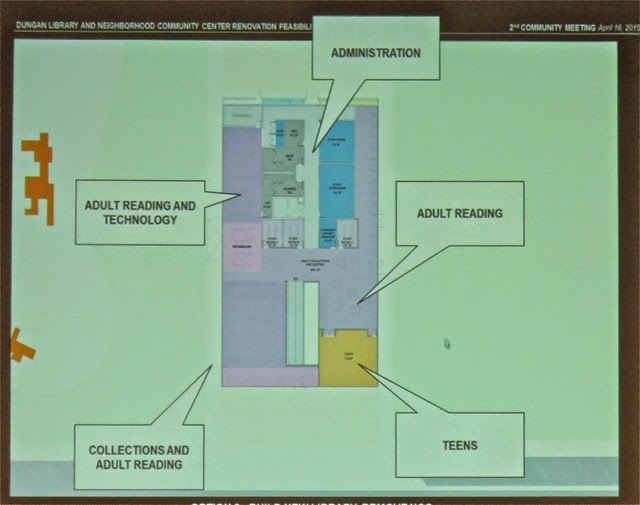 Leece expressed relief now that it looked like we might actually get a new Downtown Library and asked about the Tustin Library, since it's the most recent nearby facility to be built. Margaret Mooney asked if it was possible to build a new library AND leave the NCC intact - and was told it was possible to do so. 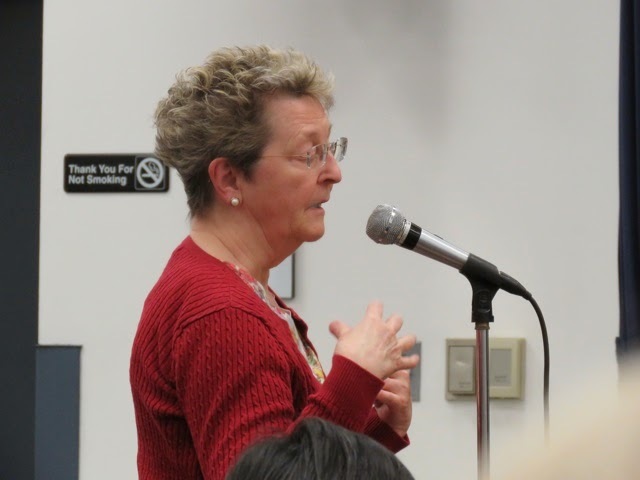 Mary Ellen Goddard expressed concern about staffing a two-story library facility and was told that it likely would take more staff, but that the new technologies in handling incoming and outgoing books would change the way any new library is managed, particularly in staffing. 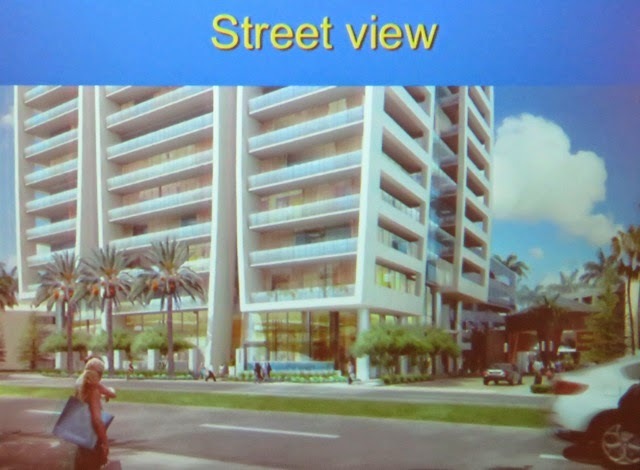 Others expressed concern about the entry to the new building, parking (would a parking structure be necessary?) and a preference for a more "holistic" approach to the use of the park space - he meant playing fields. Between now and the third week of June the consultants will get some firm numbers for each of the options discussed last night. The existing NCC building apparently caught them off-guard, since the renovations necessary to convert it into a library will be much more formidible than originally anticipated from a structural, electrical, mechanical standpoint. 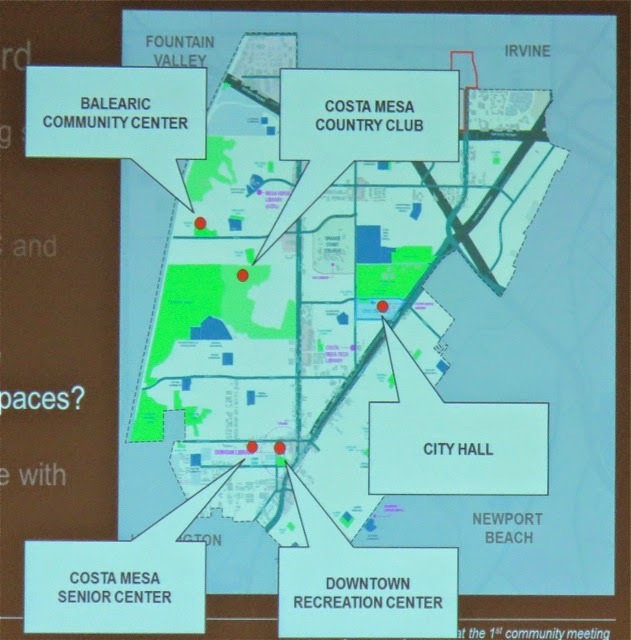 Take a few minutes to find the Costa Mesa Brief coverage to help you understand how the discussions flowed and for more details on the specific issues with each building. And, look for the PowerPoint presentation on the City website - it should be up before this weekend. We look forward to the final meeting on this issue in a few weeks. It's going to be very interesting when some hard numbers get applied to this process. Well, it looks like Jim Fitzpatrick - chronically unemployed former Costa Mesa Planning Commissioner and briefly elected Director of the Costa Mesa Sanitary District Board before he was forced to resign for holding the office illegally - has actually found his calling. Yep, the days of trying to get folks to wash their cars with a mouthful of spit and skulking around, picking up scraps from the movers and shakers among us, seem to be over. Now Jimmy Fitzy is consulting as a shill for medical marijuana interests. I'm sure his family is very proud. 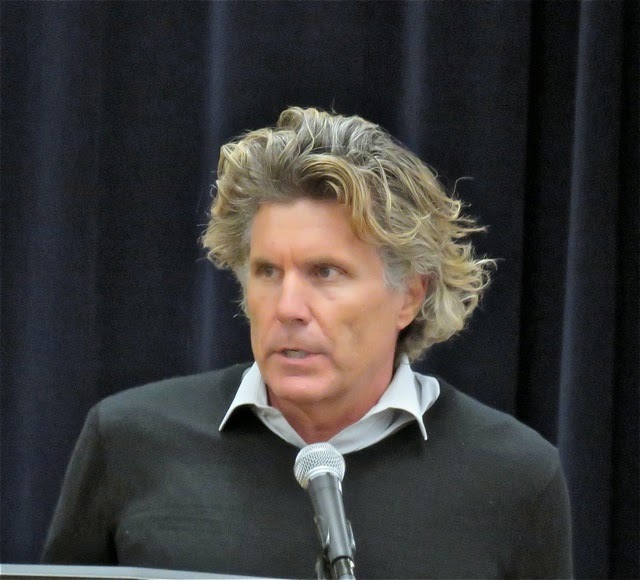 Recently Jimmy Fitzy spent 62 minutes on Hemp Radio locally, regaling the hostesses with his background as an "international business executive" and a "retired" planning commissioner (does one "retire" from an appointed position?) who is peddling himself as - are you ready? - a "Solutioneer"! Yep, he readily admits stealing that phrase from Disney. 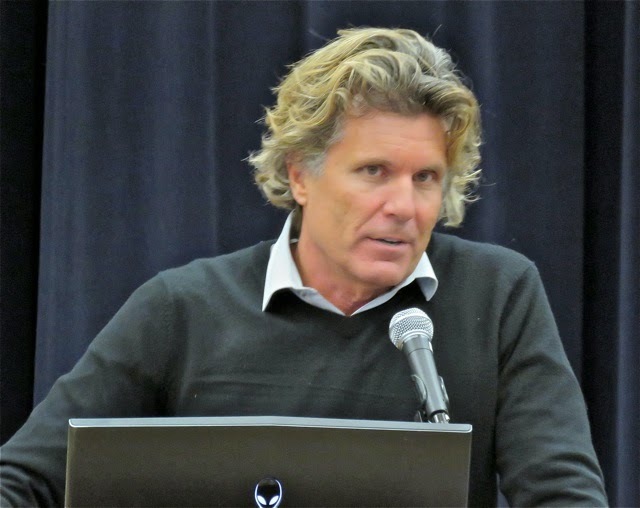 He's selling himself as a "land use expert" and a "marijuana expert" and is eager to spread the wealth of his information to help potential dispensary operators and/or cities manage their marijuana issues. He specifically mentioned "seniors" as a group that needs help acquiring the "medicine". You can listen to that full hour plus HERE. Unfortunately, you'll probably find yourself having to stare at the goofy photo of him holding the sign saying "I Am A Solutioneer" while you listen. My suggestion is to shrink the window as small as possible while the audio is playing. This audio clip of the recent podcast is VERY enlightening. He has the women hosting the program so enthralled that they seem almost orgasmic! One of his more provocative suggestions for the dispensation of medical marijuana is for marijuana interests to buy an entire strip mall, use the dispensary as the anchor for the mall, and have ancillary businesses nearby. I don't know exactly what his vision is, but perhaps those "ancillary" businesses might include vape shops and massage parlors. He does mention they might be other "medical" uses, so those might qualify. 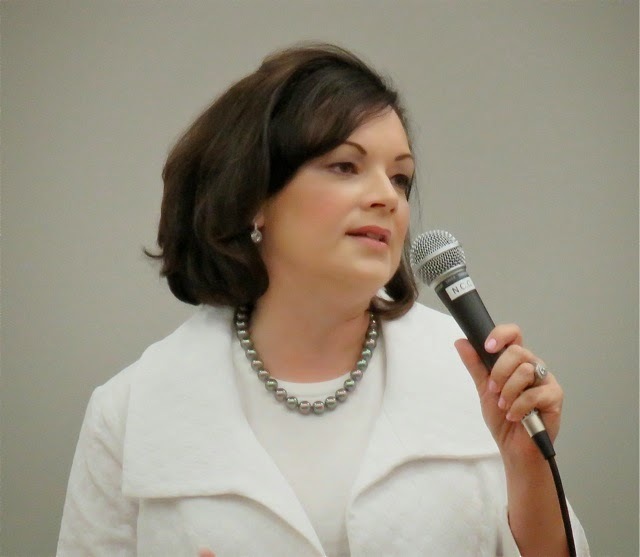 About 43 minutes in he and the hostesses chide Katrina Foley for her suggestion of a tax on the square footage of marijuana grow area, suggesting that she doesn't know what she's talking about. He also suggests reducing enforcement costs and increasing sales tax revenue as a solution for cities facing municipal bankruptcy. We learned that Jim Baker, his father-in-law in Seattle - who apparently doesn't much like him - has marijuana use on his bucket list! Really? I imagine old Jim is happy Jimmy Fitzy is telling the world about THAT! While there over Thanksgiving he "used his political contacts here to meet the Bill Gates of pot" while doing his "research" on the issue. "I BELIEVE IN MARKET FORCES"
He tells the audience that he believes in market forces - that the bad marijuana operators will "weed themselves out", so to speak. So, on the one hand, I guess I'm happy Jimmy Fitzy is actually finally earning a living. On the other hand... a weed shill? It's going to be very interesting to see how his "career" plays out. Now sit back, hit that link up top and prepare to be dazzled by the salesmanship and "expertise" of Jimmy Fitzy! Good grief! 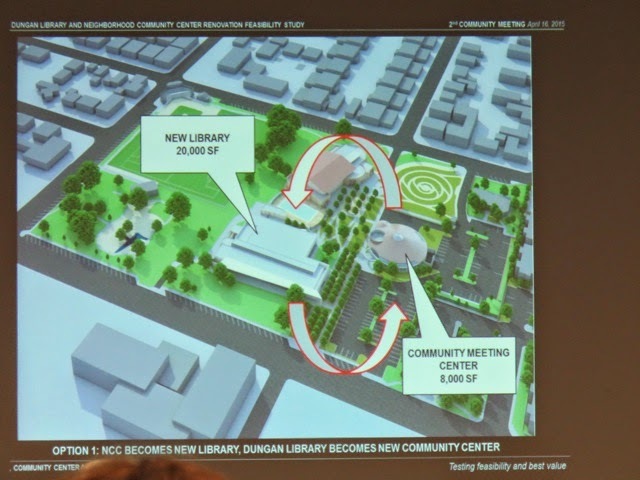 The second of three public outreach meetings to disseminate and gather information on the possibility of replacing the current Donald Dungan Library at Lions Park with a new facility, which would replace the Neighborhood Community Center nearby. Basically, the current thinking driven by our elected leaders is that the facilities would just "swap" locations. 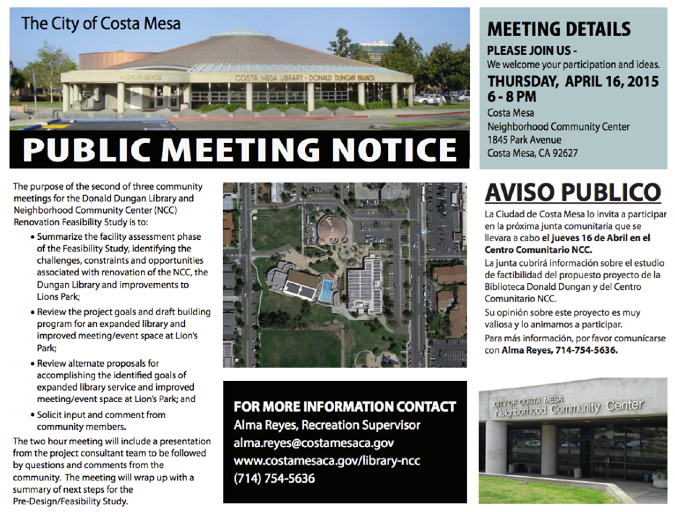 The meeting will be held at the Neighborhood Community Center, 1845 Park Avenue, from 6-8 p.m. Thursday, April 16, 2015. I attended the first of these meetings and came away thinking much more work needs to be done. Recently Mayor Pro Tem Jim Righeimer implied that this project is NOT a done deal. Mayor Steve Mensinger yanked $600,000 from the current year's budget line item earmarked for this project of $1 million so he could have the entryway to his neighborhood spiffed up with drought tolerant plants. In light of this information, one can only question the commitment of our two top elected leaders on this issue. At the last meeting one of the speakers implied that it would not be possible to just rehab the existing NCC building for a proper library. We presume he meant that an entirely NEW building would be necessary. That kind of changes everything. Personally, with the availability of information via the internet, I'm not convinced that we NEED a new library, but still have an open mind on the issue. MOVE THE NCC? WHY NOT? 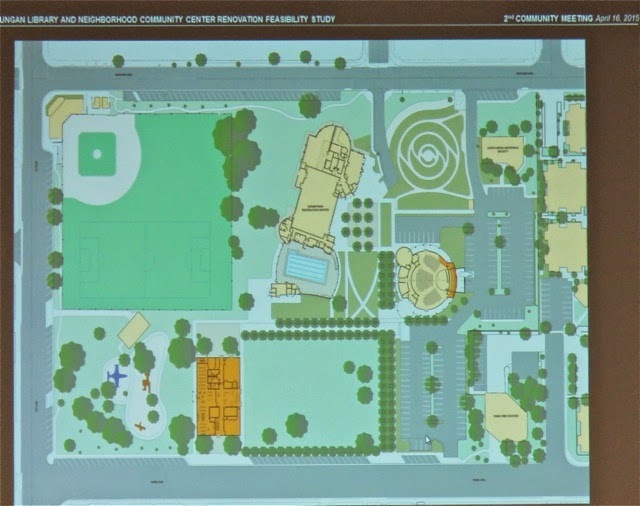 I suggested at the last meeting that, if we have to build a NEW building for a NEW library, perhaps the Neighborhood Community Center should be relocated - to Civic Center Park, that huge hunk of unused grass along Fair Drive, across the street from the Police Headquarters building. Subterranean parking could be used and a multi-story building could be erected on the site at approximately the geographical center of the city. It's worth being included in the conversation. 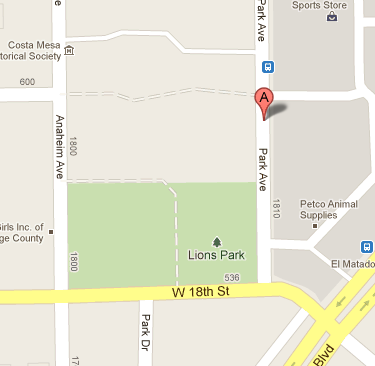 Here's a map to the NCC. See you Thursday evening. 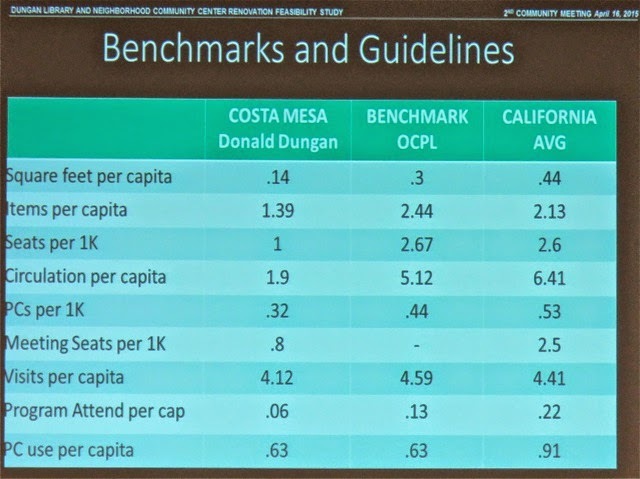 The Costa Mesa Planning Commission met last night and handled the four Public Hearings on the agenda predictably - they approved each one - although not without some drama. The Pledge of Allegiance was led by Sgt. 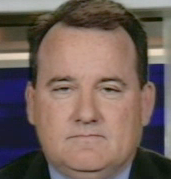 Chris Merkle, currently enrolled at Vanguard University. 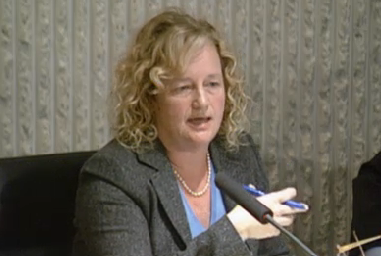 Beth Refakes briefed the commission on the 1/5 Marines Easter candy event. Steven Chan asked for help shutting down the illegal nightclub, Maison. 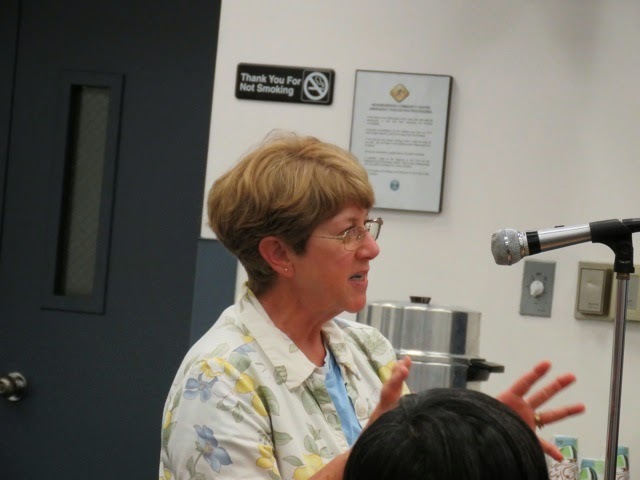 Ann Parker reinforced his request and Mary Spadoni told the commission about the 32,500 homeless children in Orange County, including nearly 250 in Costa Mesa. 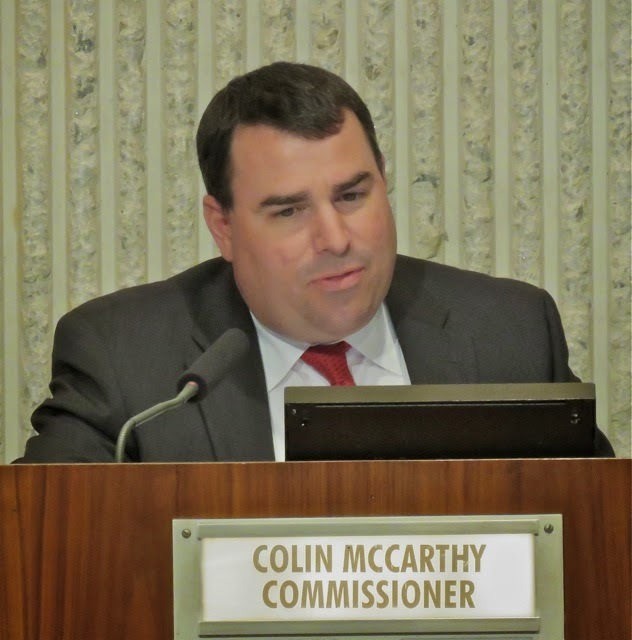 During Commissioner comments Colin McCarthy brought up the issue of the possible availability of the Fairview Developmental Center property along Harbor Blvd at Fair Drive. He cited the fact that the populace at that State-operated facility is steadily diminishing, now down to 280 souls being served. 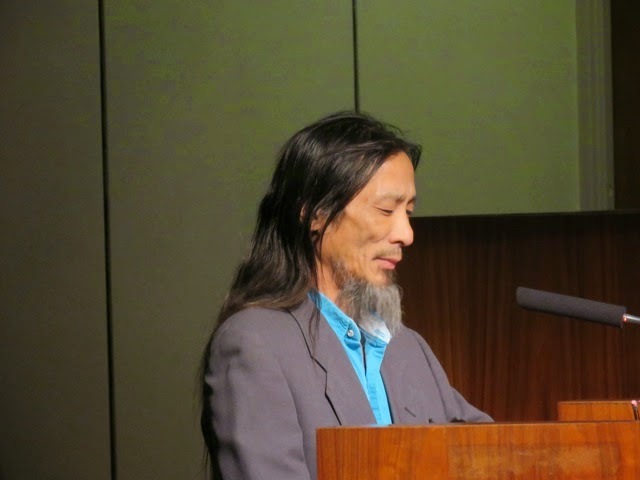 He speculated about the availability of the property and hoped that if it does become available the community could "pull together" to acquire it and not become "Balkanized". That's code for "Don't make any trouble if we have a chance to buy the place!". None of the other commissioners had anything to say, blaming it on the packed agenda. At 6:20 we got down to Public Hearing #1, the high-rise development that is part of the Wyndham Hotel facility at 3350 Avenue of the Arts. Following the staff presentation only two members of the public spoke in this particular issue, and then simply begged the commissioners to do what they can to save Fire Station #6, which is slated to close soon. That station currently serves the South Coast Plaza area. 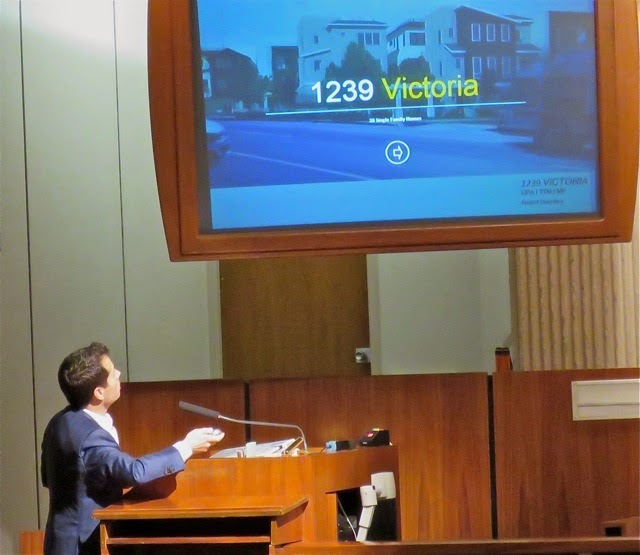 The commission approved the item on a 5-0 voter just before 7:00 p.m.
Next up was the long, long issue of the evening, Public Hearing #2, the 28-unit high density development on at 1239 Victoria Street. As anticipated, more than 3 dozen people were in the auditorium for this one. 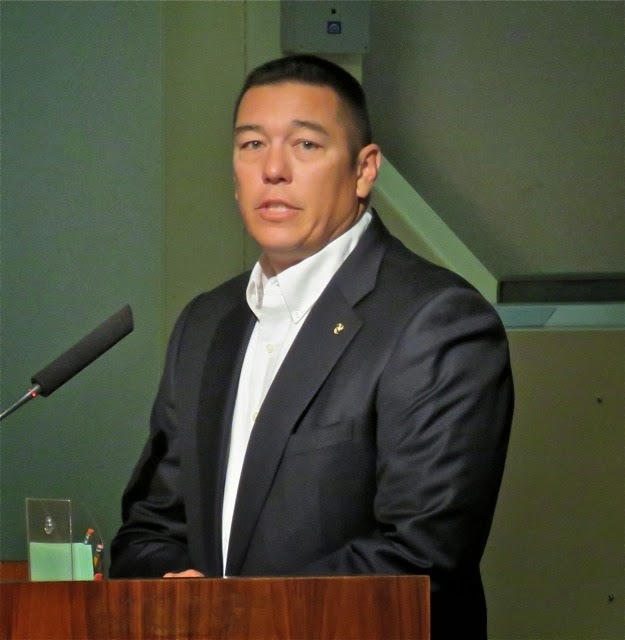 Following the staff report on this issue - continued from the March 23rd commission meeting - the developer, Eric Nelson of Trumark Homes, gave a lengthy presentation, outlining his public outreach and the steps he was proposing to mitigate the complaints he'd heard at the previous hearing. Then fourteen (14) people spoke on the issue, nine (9) of whom disagreed with the project and five (5) supported it. Most of the complaints dealt with the density and the height of the buildings - 37 feet in some cases. 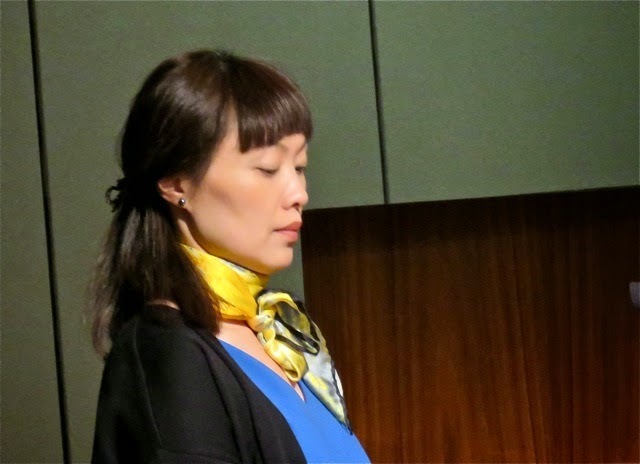 Concerns were expressed about loss of privacy, sun and ocean breezes. 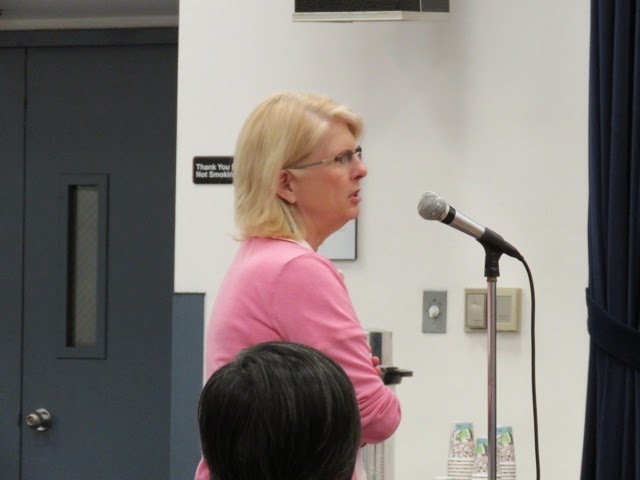 One speaker in favor of the project expressed concern that the rules favor "code versus quality", which I thought was a kind of backhand to the process that is supposed to protect our neighborhoods. He also gave short shrift to the shortage of open space in this project - one of the many deficiencies. Much discussion took place on a proposal for the developer to pay for a wrought iron fence at the park across busy Victoria street that, theoretically, would "encourage" folks to walk to the crosswalk instead of jaywalking from the park to their homes. 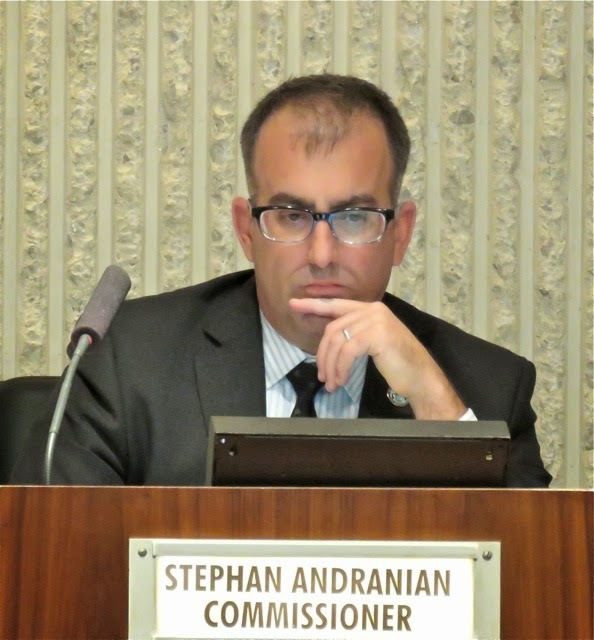 When the vote was finally taken after more than three (3) hours of discussion and testimony the commission approved it, 4-1, with rookie commissioner Stephan Andranian voting no. Earlier he had expressed serious concern about this project NOT complying with the General Plan. I dashed home and watched the remaining two issues on television. 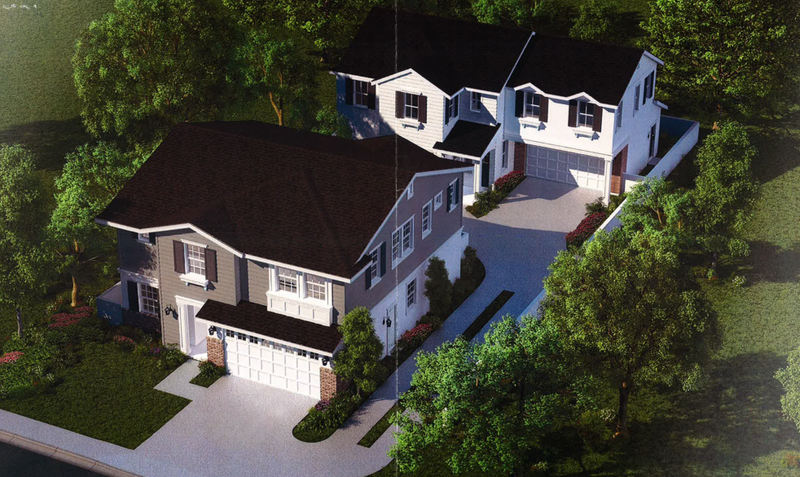 Public Hearing #3, the variance to reduce the rear yard setback at 2967 Ceylon Drive took only a half hour of discussion, after which it passed on a 5-0 vote. Public Hearing #4, the two-unit development on 16th Street between Tustin and Santa Ana Avenue, took even less time, with the commissioners making quick work of this project that replaces a ramshackle 1950s house with two beautiful new homes, each of which are anticipated to sell for over $1,000,000! The commission approved this project on a 5-0 vote and adjourned to their next meeting on April 27th.